Ductless systems operate according to the same principles as centralized AC systems. The difference is that they’re much smaller, designed to cool just a single room or section of your home instead of the whole thing. Multiple units are installed in your home, each one able to operate independently of the other. (For many ductless AC systems, master controls also exist letting you operate the entire system from a single location.) That allows you to raise or lower the temperature in each section independently of the rest, or even turn off the air in one part of the home while running it in another. This may sound like a lot of effort for little benefit, but in fact, it can provide a number of huge advantages for your home. No Ducts! The most obvious benefit of a ductless system is right in its name: it eliminates the need for ducts. That can be a huge boon to homes built before the advent of central air conditioning, homes that can’t always accommodate the ducts, or homes that can’t support a central AC because of similar architectural quirks. No Squabbles. The second benefit of ductless AC is avoiding family disagreements over the temperature. Say you’re cooking in the kitchen and want a lower temperature to compensate for the hot stove, while another family member is playing video games in the living room. With a central system, either you would broil or the other family member would freeze. But ductless systems let both of you enjoy the right temperature for. Lower Bills. By extending the principle described above, the real value of ductless systems becomes known. 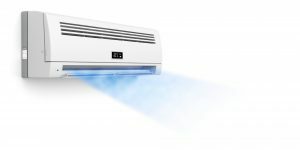 Turning off the air in places like the bedroom during the heat of the day cuts down on your energy usage immeasurably–lowering both your monthly bills and the strain on the system as a whole–while still allowing you to enjoy comprehensive air conditioning in parts of the home you are using. If you’re looking to install a new air conditioning system in your Bay Village, OH home, and a centralized system just won’t do, call on Westland Heating & Air Conditioning today to schedule a consultation!